The religion of the end time will be one where the false prophet will deceive the whole world and cause the world to worship the Antichrist by doing miracles such as pulling fire from the sky. This religion already exists but will be made universal by the power given the Antichrist and the false prophet by the devil. The Bible doesn't specifically tells us what that religion will be called, but we can determine what it will be by looking at the facts. The world is pretty much dominated by Christianity and Islam (over half of the worlds population combined). While Hinduism, Atheism and Communism make up most of the remainder, it doesn't look like they will play much of a role in the end time. Christianity today is full of churches proclaiming that all religions worship the same God and therefore we should embrace them. The Catholic church promotes that idea with Interfaith doctrine and goes as far as to state in Article 841 of the Catechism that Muslims worship the same God as Christianity and therefore will enjoy the same salvation equally. This means that they think it doesn't matter if you're a Christian or a Muslim and that you can find salvation through either religion. 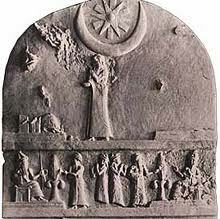 In the Old Testament, near Israel's beginnings, worship of a false God called Baal began, and consisted of worshiping the heavenly bodies, of which the moon is the largest in the sky. 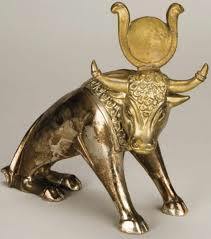 The Biblical and historical evidence shows that the Moabites worshiped Baal. 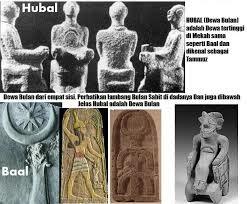 The pre-Islamic and Muslim sources show (a) that the Meccans took over the idol Hubal from the Moabites and (b) that Allah and Hubal are actually identical. 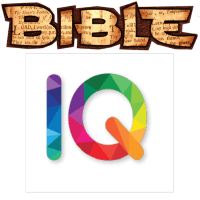 Thus, whether the Meccans are Ishmaelites or not, the evidence is still strong and sufficient to conclude that Muhammad's Allah is actually Hubal, i.e., the Baal of the Moabites and thus not the God of the Bible. 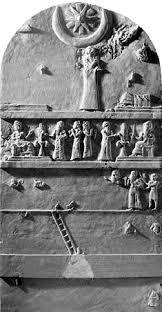 Muhammad incorporated the characteristics and names of various other gods into his new monotheistic message about Allah, but he apparently started the construction of Allah with Hubal, the chief god of the Meccans. 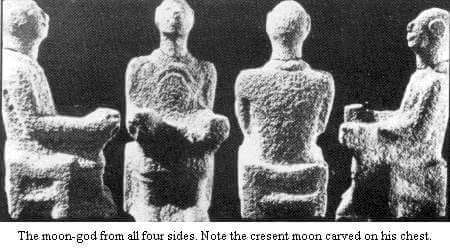 The Muslims are worshiping the same false god that people have been worshiping since early times as far back as Israel's beginnings. Most importantly, Muslims say you don’t need to believe in Jesus Christ to be saved! Muslims will admit that Jesus Christ was a true prophet, but deny that He was the Messiah (although some Western Muslims will say He was anointed), they will deny that He was God manifested in the flesh as of the Son of God (John 1:14), and they will deny that He died on the cross and rose again. Does that make sense? Absolutely not! That belief cannot be truth because Jesus Christ Himself said He was the Messiah, and said He was the Son of God! John 9:35 Jesus heard that they had cast him out; and when he had found him, he said unto him, Dost thou believe on the Son of God? 36 He answered and said, Who is he, Lord, that I might believe on him? 37 And Jesus said unto him, Thou hast both seen him, and it is he that talketh with thee. That would make Him a false prophet according to the Muslim beliefs! How twisted is that? But it’s a lie believed by one and a half billion people. 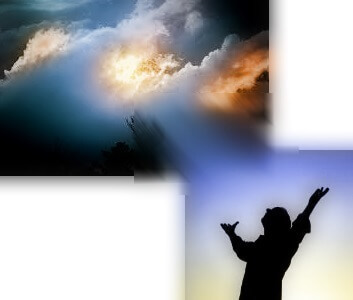 We absolutely must believe that Jesus Christ is God manifest in the flesh, was crucified for our sins and rose again. This is the gospel! 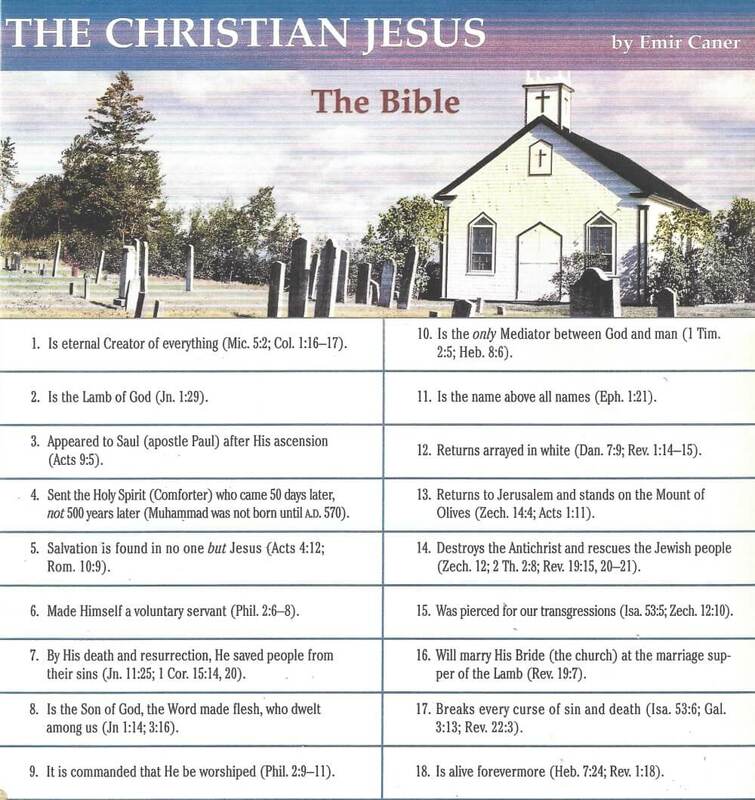 Islam goes even further than simple disbelief, and says that the name of Jesus is "the most awful name". Allah's Apostle said, "The most awful name in Allah's sight on the Day of Resurrection, will be (that of) a man calling himself Malik Al-Amlak (the king of kings)." Now, according to the Word of God: 1 Tim 6:15, Rev 17:14 and Rev 19:16, Jesus Christ is the King of Kings and Lord of Lords. 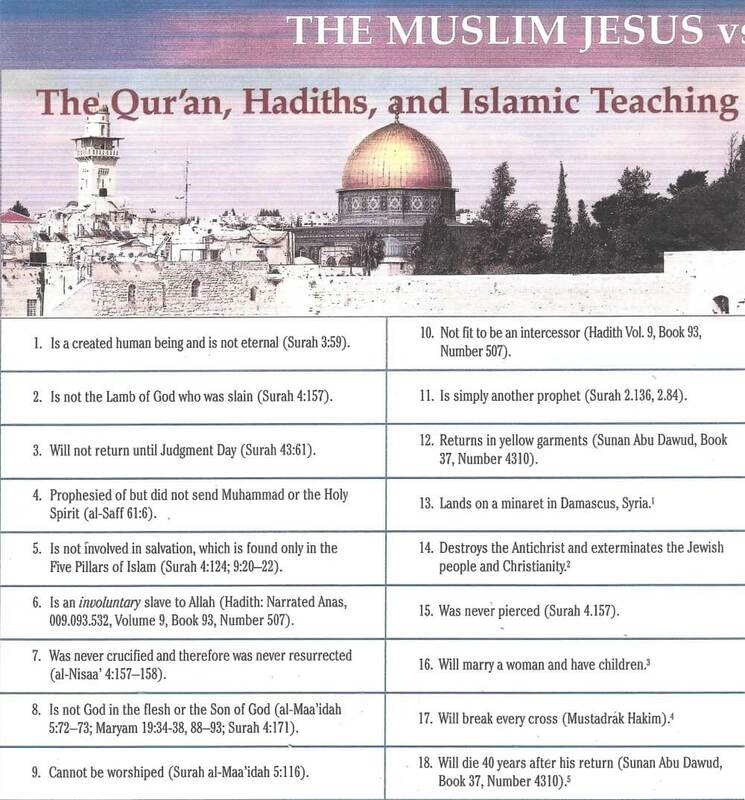 This means that Muslims are instructed to hate the Jesus of the Bible. The word Islam means "submission". 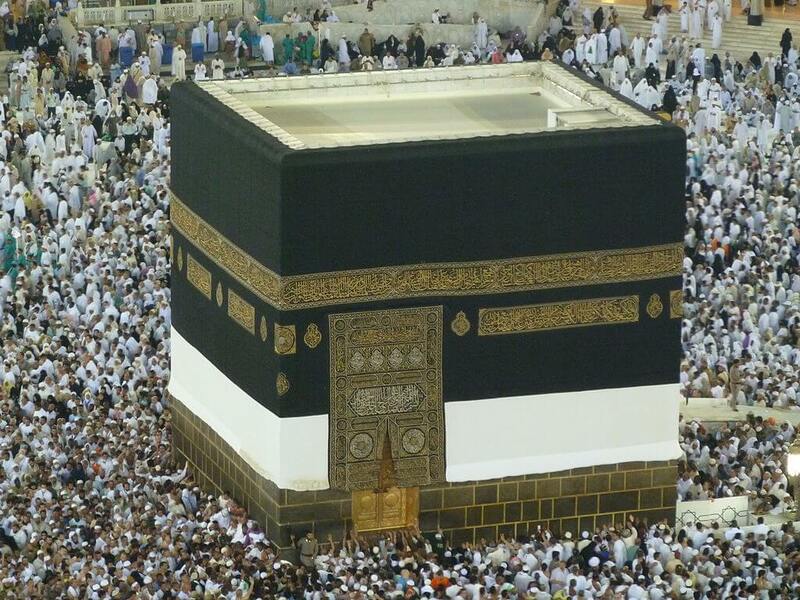 Not only in the sense of submission to Allah, but in the sense of making everyone submit to the rule of Islam. Islam is about subduing the world and making it submit. The Muslims believe that Mohammed is the exemplar of right conduct. They aspire to be like him in the same manner that Christians aspire to be like Jesus. Mohammed said to spread, through warfare, the rules of Islam. Mohammed became increasingly violent during his career and spent 10 years in Medina creating an army to overthrow his homeland, Mecca, after he was ran off by the pagans in 622 AD. He killed thousands of people and subdued Arabia through war. Muslims are encouraged to commit acts of heroism in combat. They are promised that those who kill and are killed will be rewarded with paradise. This is the basis for suicide bombers. They believe that since they are killing while they are killed that the sin of suicide is covered by the martyrdom of their action and, as such, they will be rewarded in heaven. 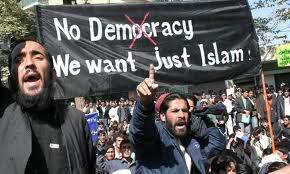 Islam is a religion of political rule, a system of government. It is not about a personal relationship with Allah, it is about bringing the world under submission to its rule. The Quran (Koran) was written over time during the life of Mohammed (conveyed or recited by him). He started as a peaceful man, but as time went on he changed many of his values. As he became increasingly violent, his writings matched his attitude. The correct interpretation of the Quran is to take any conflict in doctrine, of which there is a whole lot, and replace an older verse with the latest one, supplanting it's meaning with the more recent version in a process called abrogation. The problem is that the Quran is compiled from the longest Sura to the shortest, so it's nearly impossible to know which conflicting verse to believe or obey. The Muslims have a whole committee of scholars to interpret the Quran and decide which verses were written first and the succession of them to the last. 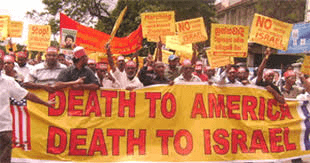 If you think Islam is a religion of peace, as they claim, just look at all the wars they are involved in today, in Europe, China, Africa, etc., and the mindset of Muslims as a whole as they chant "Death to Israel, Death to America", while they are working toward their goal of subduing the world. 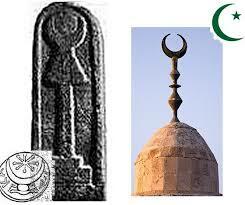 Islam is a religion of peace only when they have conquered the world and subjected it to the rule of Islam. Also, if the son of the ruler of Hamas says that Islam has no moderates, then I believe him. Now, on a side note, Mosab Hassan Yousef (the son of the ruler of Hamas) made the point that there is no moderate Islam in those that truly adhere to their faith, but this does not include the phony Muslims. 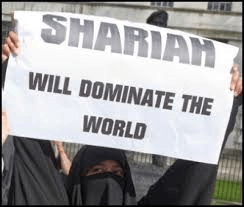 By phony, I mean those who do not truly believe but identify as Muslim for cultural reasons, maybe out of fear for their life, because their family is Muslim. Does this mean they are "moderate"? No, they will do whatever it takes to continue making their relatives believe that they believe, mostly out of self-preservation. These are they that will encourage their devout brother to commit the atrocities that they themselves do not want to do. Don't expect these so called "moderates" to stop their devout brother, or do anything to save you. 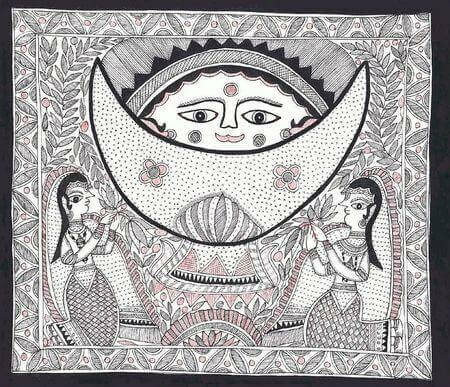 The second type are those who do not truly understand their own religion. I have seen and heard many testimonies of ex-Muslims who did not understand their own religion. And, I recently saw a video of a man talking about how he, as a Muslim, thought his religion was a peaceful religion, but as he grew to understand Islam and read the Quran, he came to understand that it is not a peaceful religion and that he was actually instructed to kill for Allah. 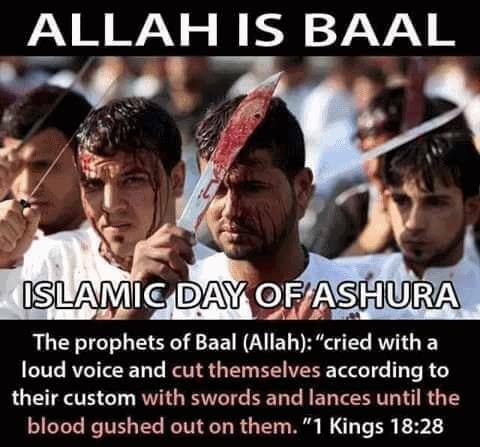 This is a great example of how many Muslims, like Christians who never read their Bible, do not understand their own religion, and how the Imams (preachers of Islam) use the practice of Taqiyya (lying to assist the ascendency of Islam) on their own people and lure them in with promises of peace and love while they hope to bring them in deeper and turn them into devout Muslims who will die for them. The third type are those who are purposefully and deceitfully practicing Taqiyya (deceit to assist in the ascendency of Islam). 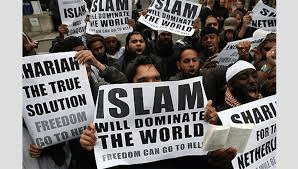 This is used by Muslims to placate those who would be a threat until they can either over-power them or defeat them from within by infiltrating their society. The leaders of Islam even use this on new Muslim converts to lure them in, and then slowly lead them to stronger and stronger doctrine as they become devout Muslims. 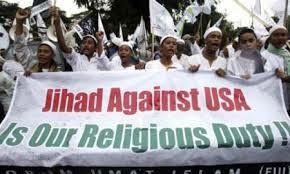 See this page to read more: Is Islam a violent religion? 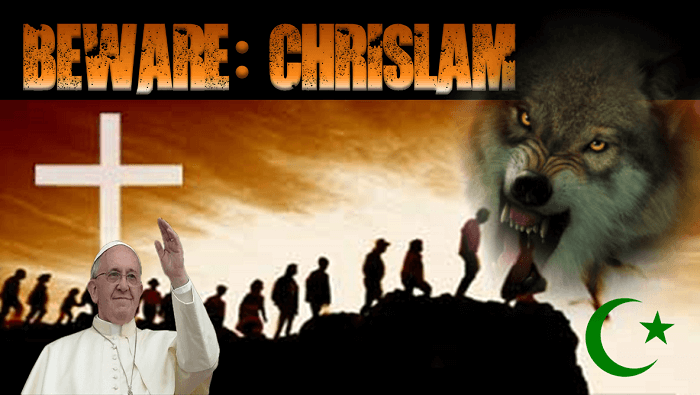 We can see that the whole world will be fooled by the false prophet and the Antichrist, including the Muslims and the Catholics! 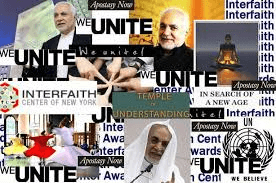 The Muslims will believe it is their Mahdi, while the rest of the world will follow the interfaith movement into believing that being a Muslim is the same as Christianity in that we all worship the same God and therefore will enjoy the same salvation. As stated, the Catholic church has already included Islam as part of God's people and many Christian churches are following this belief. This means that everyone who is fooled by this will think it's perfectly ok to convert to Islam. Should we hate Muslims because they worship a false god and hate the lord Jesus? It is our job to try to help those Muslims who think it's a peaceful religion to understand the truth of it. 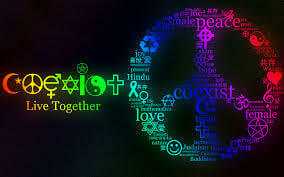 This does not mean we should be ok with a false religion by any means, but that we should talk to any who are willing to listen and help them to understand, if at all possible. In the other perspective we see that the Medes and the Persians rule after Babylon, then the Greek empire, then the Roman, and finally the Holy Roman / Islamic Ottoman co-empires. Both of these final empires together comprised the total area controlled by the Roman Empire. From the Bible and history we learn that the final Antichrist empire will be a revived version of the empire that succeeds the Roman Empire. In Revelation 6:1-8 and Zechariah 6:1-8, we're given a warning of the spirits that will be controlling the world in the last days. The pale/green horse of Revelation and the grisled and bay horses of Zechariah tell us about the spirit of Islam. The pale horse went south and Death sat on him and Hell followed him and he was given power to kill with the sword and hunger and the beasts of the world. 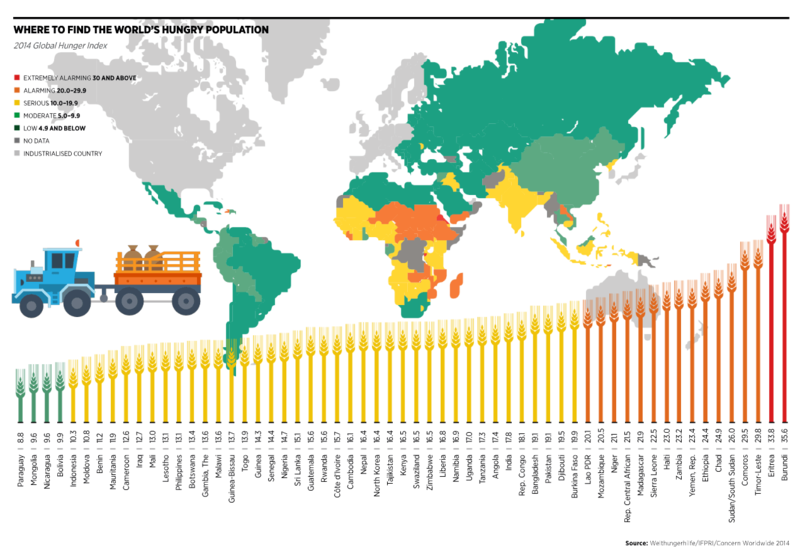 The southern hemisphere contains most of the poverty stricken nations. War, crime, revolution, hunger and beasts of the earth are more prominent in the more backward nations of the third world. But the word "beast" here is the same word used to describe a "king" in other areas of the Bible, so it very likely refers to the fact that many of the "kings" of the Middle East are killing their own people. The last 100 years have seen more death than the entire history of man (wars, abortions, etc.) The passage in Zechariah splits the pale/green horse in two; into the grisled and bay horses. That makes this prophecy easier to understand in that it has two components: Islam and Death. A very interesting thing about this horse is that the meaning of the original Greek word is interpreted as “pale” in the King James Bible, but the word chloros (khlo-ros'); also means greenish, or pale green. 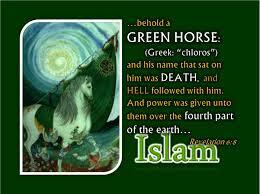 This word (chloros) is also used in 3 other places in the Bible: Mark 6:39, Revelation 8:7 and Revelation 9:4. In all three of these other places it was interpreted correctly as green. This horse was also given power over the fourth part of the earth. 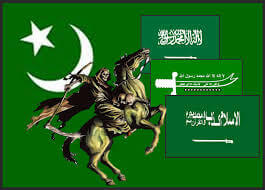 Since we know these horses are spirits, it is very, very interesting that the color of Islam is green (their flags, etc. ), and that there are 1.8 billion Muslims (Islam followers) in the world today. That’s almost exactly one fourth of the world population. This horse went south; and 96.5% of the world’s Muslims are in the southern hemisphere, in Africa and Southern Asia. Can Islam be defined as “Death”? I’ve seen arguments that the terrorists are only the “radicals” and poor Muslims being recruited, but if you look at the history of the men that hijacked the planes on 9/11, they came from middle class and wealthy families. 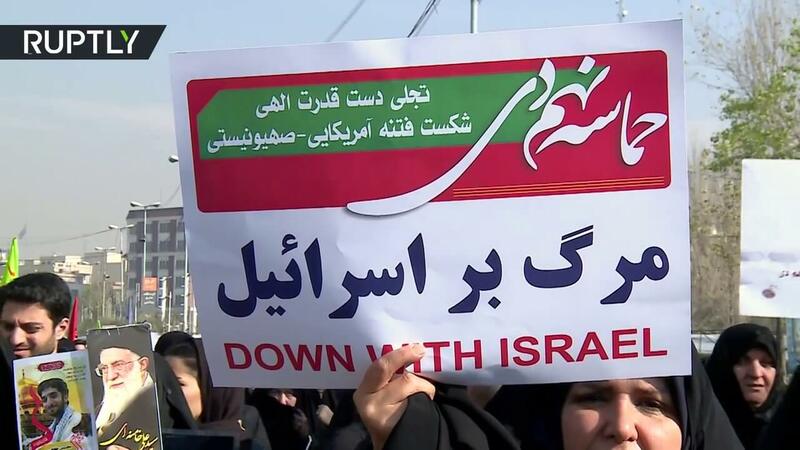 The attacks that are happening everywhere, the suicide bombings, the masses of Muslims chanting, “Death to Israel, death to America”, are not only the poor and radical, it is the mindset of Islam as a whole. Look at what happened recently in Palestine. They knowingly elected a terrorist organization into their government! And, given what we know about Islam and how it will be used by the Antichrist, the term “death” here may be referring to the “second death” of Revelation where those that are not saved come before God on judgment day. The event we're looking for right now, that could happen very soon, is the Confirmation of the Covenant. The confirmation of the covenant is this: there will be an international agreement to confirm the status of Jerusalem and the permanent borders of Israel. These things are being fought over right now with the Palestinians. The Bible says that the Antichrist will confirm the covenant along with many others for 7 years. This event will be the beginning of the last 7 years of Daniels 490 years. It may be hard to identify the Antichrist at that time because he will be just one of many. God's two witnesses will begin their prophecy at this time. They will not be able to be killed for the whole 3.5 years but will be killed at the very end. The Bible tells us that they (the world) shall say, “peace and safety”. This is the call of the New World Order. The Antichrist will come in the name of peace to take over the world, and the Bible says that the people of the world will be thinking they've finally made it, reveling and partying, proclaiming that mankind has finally done it and brought peace to the world! The Antichrist will implement what's called the mark of the beast. It will very likely be a RFID type of system. They can put a chip under your skin today and they even have a tattoo ink that is RFID capable, so maybe that will be utilized. What's certain is that this will be forced upon all people and you won't be able to get a job, buy food, go to the doctor, have a bank account, or pretty much have any way to “buy or sell” unless you submit. This will undoubtedly come with some sort of oath or pledge of allegiance to the Antichrist and his government. It may even mean conversion to Islam. This will also be a superhighway straight to hell. Any person who takes the mark of the beast is condemned by God. It will be a horrible time for the people who worship the one true God, Jesus Christ. This is what is termed as the Great Tribulation. According to the prophecies of the Bible, I believe it will. 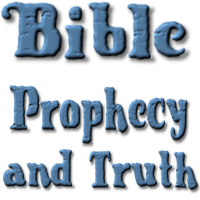 If you want more detailed and in-depth information, please go to Prophecy and the Present Day and read about the final Empire that God told us about. We must be prepared and must not be fooled!